Iceland’s parliament agreed today to abolish the blasphemy provision of the Criminal Code. The Pirate Party’s parliamentarians submitted the proposal in January, which received broad support from all other political parties in Parliament and the matter was unanimously supported by the committee examining the proposal. 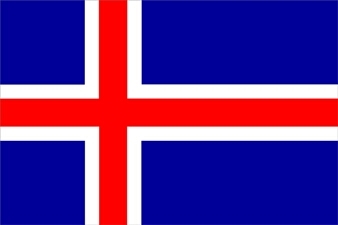 Icelanders have now taken an important step in guaranteeing human rights and joined other nations which respect freedom of speech and expression. 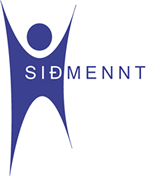 There was also extensive support for the bill among the various organizations consulted by Parliament, including our campaign partners Sidmennt (The Icelandic Ethical Humanist Association), and the bishop of Iceland, the Icelandic priesthood, the Association of Publishers, PEN Iceland, IMMI (The International Modern Media Institute) an Icelandic based international organization of information and freedom of expression and an atheist group called Vantrú. Title: Blasphemy Law Abolished in Iceland! Iceland’s parliament has approved a bill, introduced by the ‘Pirate Party’, which proclaims that it is “essential in a free society that the public can express themselves without fear of punishment”. Therefore, FREEDOM = NO PUNISHMENT for one’s self-rights. BUT the One Creator God said that in HIS judgement the penalty for worshipping any other ‘gods’ besides Him is the punishment of death. Therefore, the One Creator God has not given man the FREEDOM to do what is right in his own eyes. Therefore the One Creator God has not given man the FREEDOM to worship ANY other ‘gods / religions / beliefs”. The Lord Jesus Christ, Son of the One Creator, said that we are to worship ONLY the One Lord your Creator God and Him Alone to SERVE in obedience and love, love for Him first and foremost and love for, to do GOOD, in the eyes of the One Truth, to the fellow man , whether friend or foe. Very soon, the Lord Jesus Christ will return to rule the earth in obedience and power as the One King according to the Will of ‘I AM’ and NOT according to man’s first love for “his freedom”, for his desire to serve and magnify oneself (XES). …and man will weep and clench his teeth in intense anger when his freedom will be no more. The Lord Jesus Christ said to repent and to follow / serve Him for He is the Only Way of Truth. The abolition of the blasphemy laws in Iceland is an important step for greather democracy and freedom. Unfortunately too many nations are still maintaining blasphemy laws. There is still a lot to be done to guarantee real freedom of expression and thinking.